Ease your tension and massage away stress with the incredible iComfort® ic1116 massage chair. You will feel as if you had your very own massage therapist. The handy retractable and articulated footrest gives you maximum configuration options. The iComfort® ic1116 massage chair reproduces over 6 massage actions with the sensation of a professional massage in the comfort of your very own home! Experience the sensation of the underfoot massage or connect an MP3 player to the chair's four speakers to enjoy an even more relaxing massage session. It even massages the seat and the leg area. 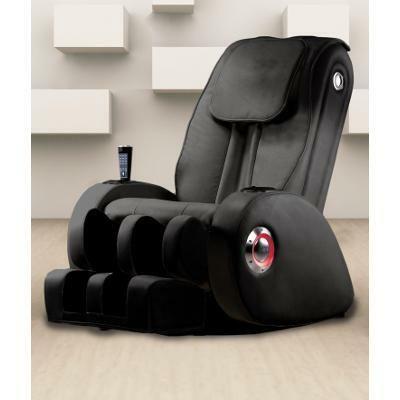 The iComfort® ic1116 massage chair will provide you with many years of soothing massage and comfort. - Contemporary design with high-quality soft touch leatherette. - 6 massage modes: kneading, reverse kneading, massage (Rolling), Knocking, Finger massage (Taping) and vibration to create some of the best massages you have ever felt. - Sophisticated leg, foot and underfoot massage. - 4 head rotating massage mechanism for smooth wrist movement simulation. - Built-in MP3/auxiliary music player amplifier with external stereo speakers and adjustable music and massage synchronization. - The remote control indicates the type of massage being performed. 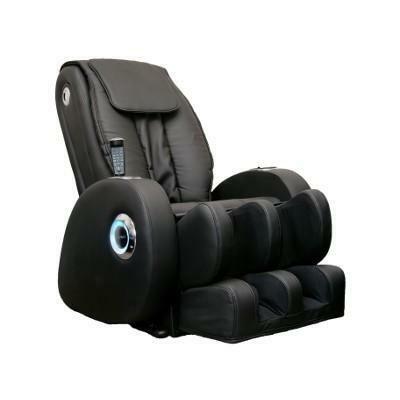 - Power recline feature up to 165 degrees with separate recline/incline controls. - Retractable footrest. Additional Information Integrated external speakers. The remote control indicates the type of massage being performed. Sophisticated leg, foot and underfoot massage. Retractable footrest. -6 massage modes: kneading, reverse kneading, massage (Rolling), Knocking, Finger massage (Taping) and vibration to create some of the best massages you have ever felt.